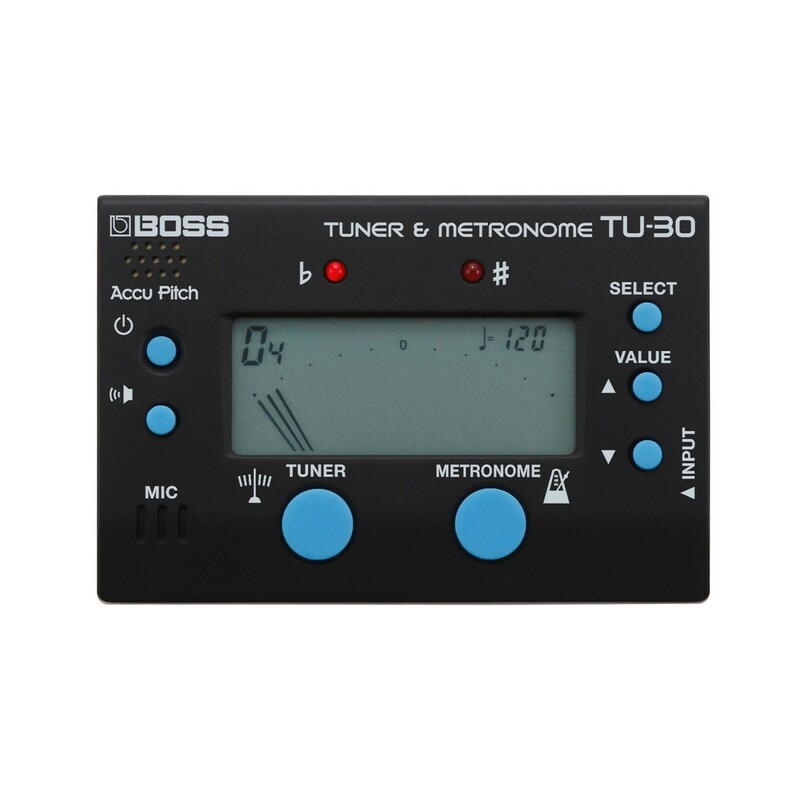 The Pro BOSS TU-30 is both Tuner and Metronome in one compact unit. 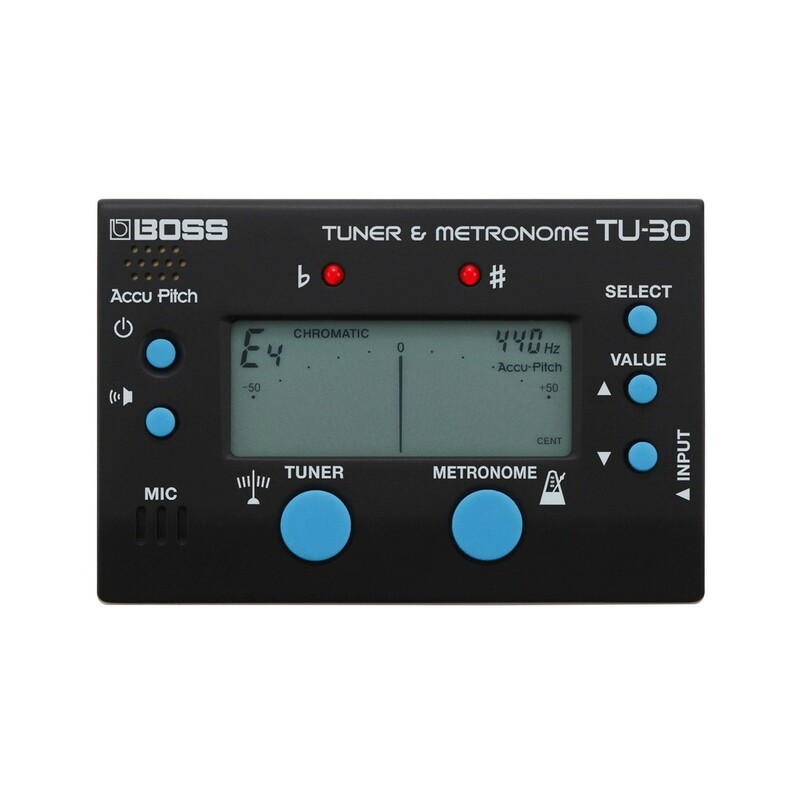 This pocket size tuner, has many features compared to recent BOSS tuners including; Accu-Pitch, multiple tuning modes and rhythm patterns, the ability to sound reference pitches, and more. 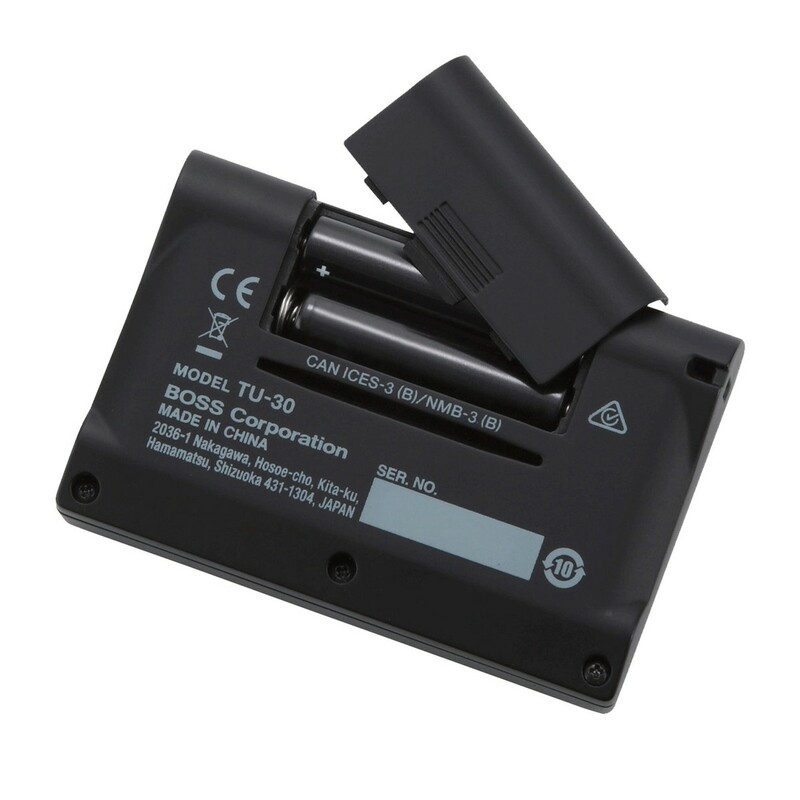 The LCD display has simple operation thanks to the blue press-pad buttons and clear labels. With its small size and easy operation, it is the perfect companion for any musician, and can even fit into most instrument cases. 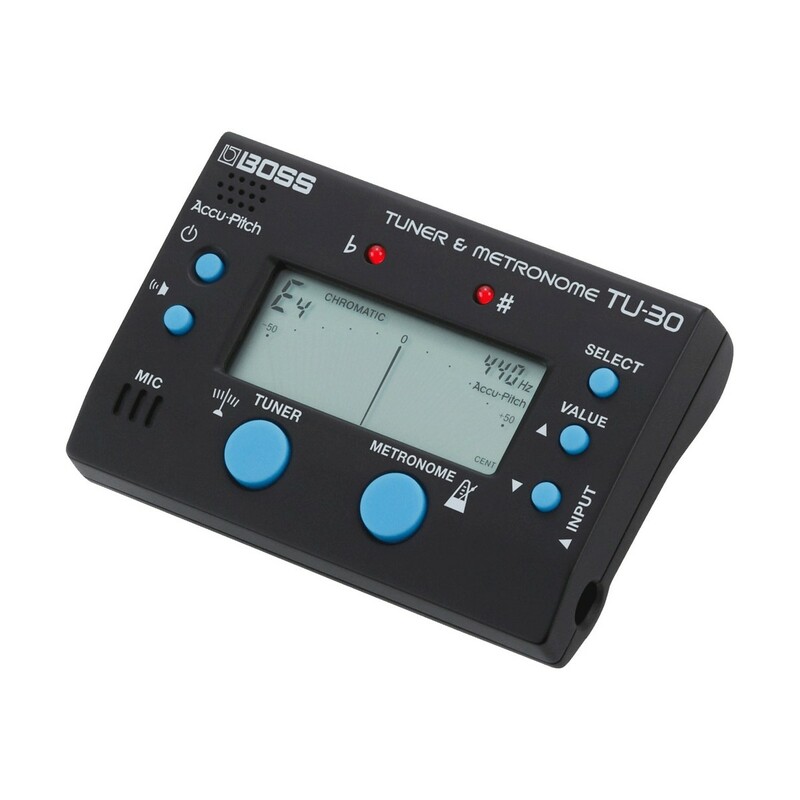 This pocket size tuner, has a built-in mic for tuning acoustic instruments, or for vocal accuracy. For Guitars, Basses and any other instruments using a jack, the tuner supports chromatic tuning, they can also plug directly into the unit for quiet applications. Another great feature is the convenient Accu-Pitch function which sounds a tone when you've reached the correct pitch. Overall, this is a very easy-to-use tool that will fits in most instrument cases. The Metronome features multiple rhythm styles to help you master the speed of different rhythms. The visual displays also shows the metronome in use, and is easy to operate.